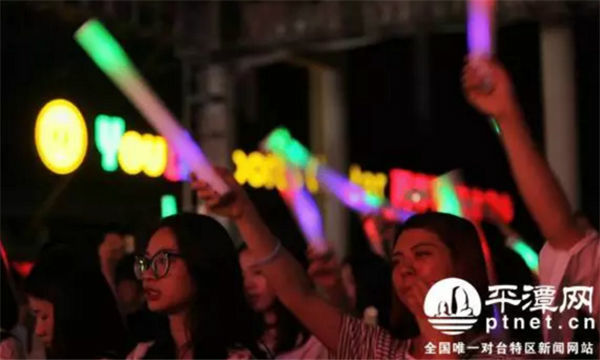 The famous band Mint Green and other rising stars from Taiwan including Peng Xu-wei and Ma Tzu-mu wowed crowds in Pingtan, Fujian province at the city's cross-Straits music festival on June 21. Part of the sixth "Common Homeland" Forum, the festival aims at further promoting cultural exchanges between Pingtan and Taiwan. Wu Jianfei, Mint Green's bass player who was born and bred in Pingtan, was taken aback by the great changes in his hometown since his last visit. "Pingtan has seen great changes and is getting better," he said, adding that it felt wonderful to return to the island city. Ma Tzu-mu, an independent musician from Taiwan who got big cheers from the festivalgoers for his original songs Our Love and An Appointment with Stars, was also impressed by his first experience of Pingtan. "I got to know Pingtan through the Blue Tears Music Festival and the percussive performance of the "Singing Stones" at the 2017 Spring Festival Gala for Overseas Chinese," Ma said.